I love to see pretty as well as practical solutions for everyday parenting. Things that help solve problems that occur on a daily basis as well as actually look good! That’s where Messy Me come in! 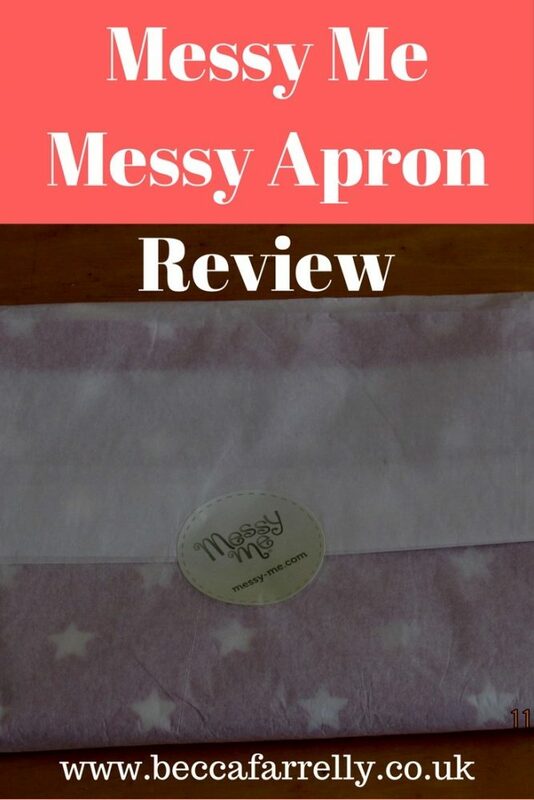 We have previously reviewed the Messy Me Bag on the blog when Mia was tiny and I can honestly say I still use it to this day, its been one of the most useful things I have ever owned so when I was asked if I wanted to review one of their Messy Aprons, I knew it would be something equally as useful! Messy Me are a family owned business that supports British manufacturing, with all products made here in the UK. They have created various stylish, wipe clean products using a specially designed oilcloth. 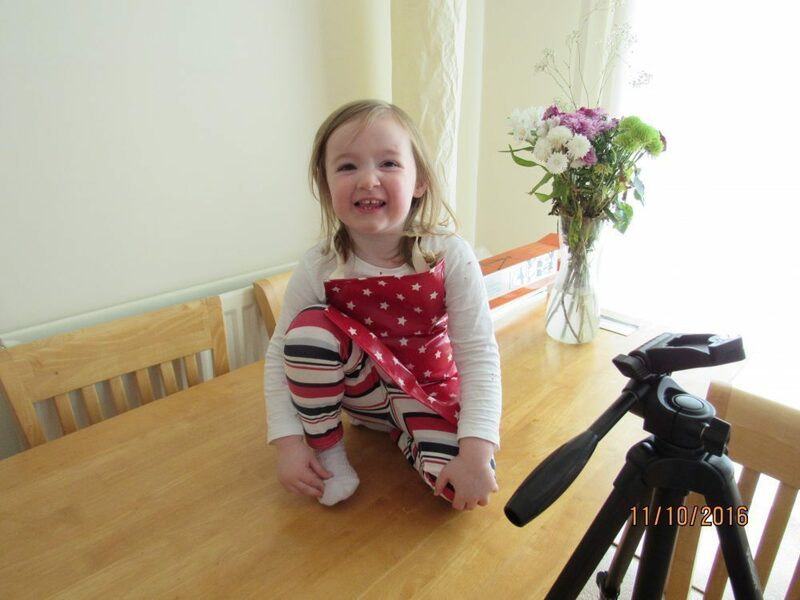 The oilcloth is soft and comfortable with a glossy finish and has been used to create a range of high quality products such as the Messy Apron, Highchair Covers, and Messy Splashmats. 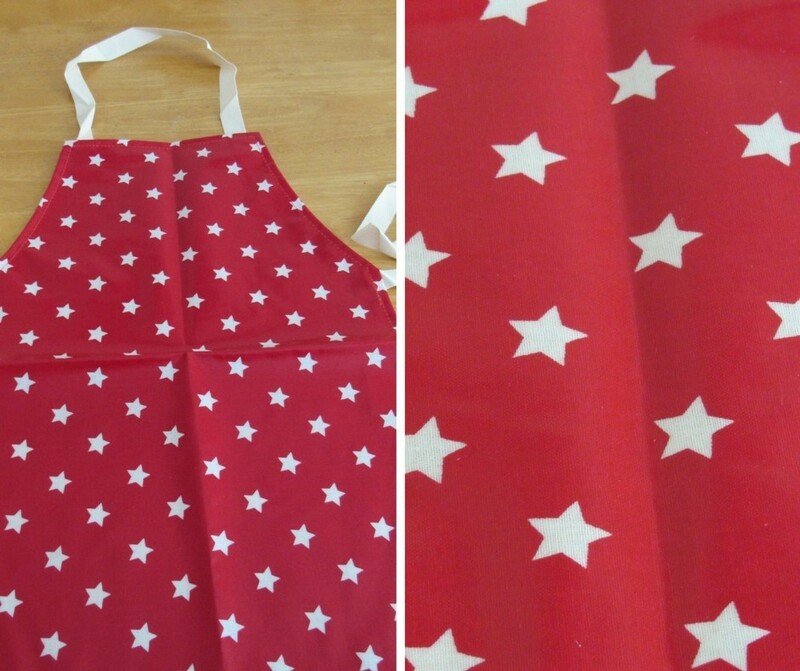 We were able to pick whichever Messy Apron we liked so we went for the Red Stars Apron as I thought Mia would really like the colour and the design. 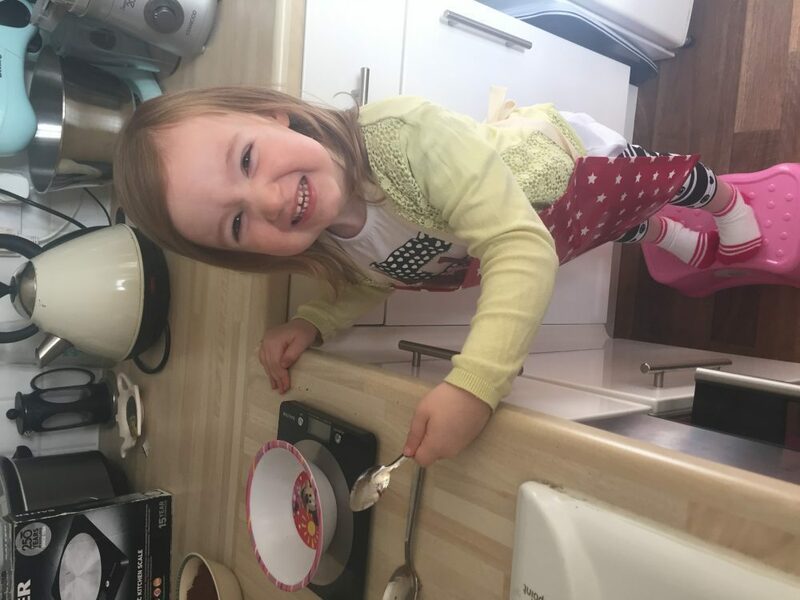 We haven’t got an apron for Mia and as she is too big for bibs now, we have ‘lost’ a few clothes thanks to spaghetti bolognaise and even play dough I can’t remove from her trousers! That’s where the Messy Apron comes into its own, it helps protect Mia’s clothes from absolutely everything and so far we have found it useful for when she’s having a particularly messy dinner, when she’s helping me cook or bake in the kitchen, when she’s playing with play dough at the kitchen table, and even the odd time we have done some painting! 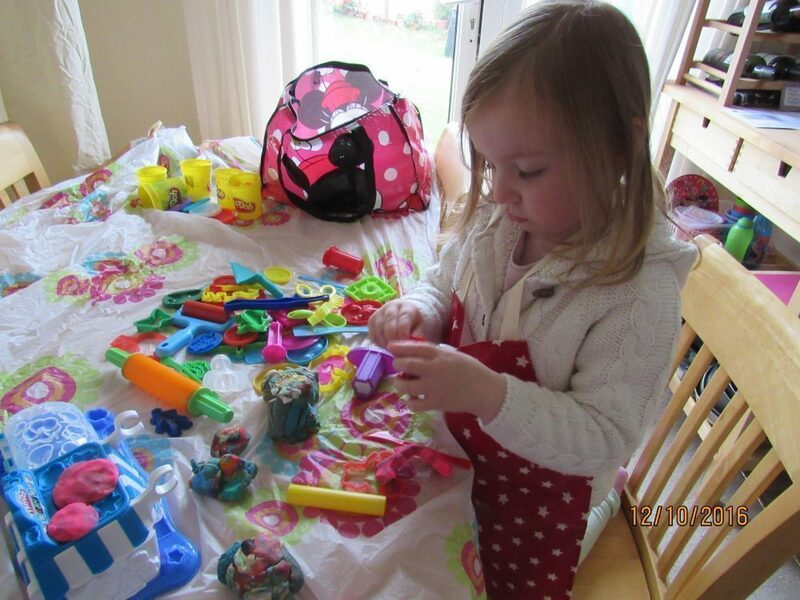 The Messy Apron has definitely helped us keep Mia cleaner and her clothes safe from stains! Just wipe clean the Messy Apron as soon as possible or even pop it in the wash at 30° and that’s it! 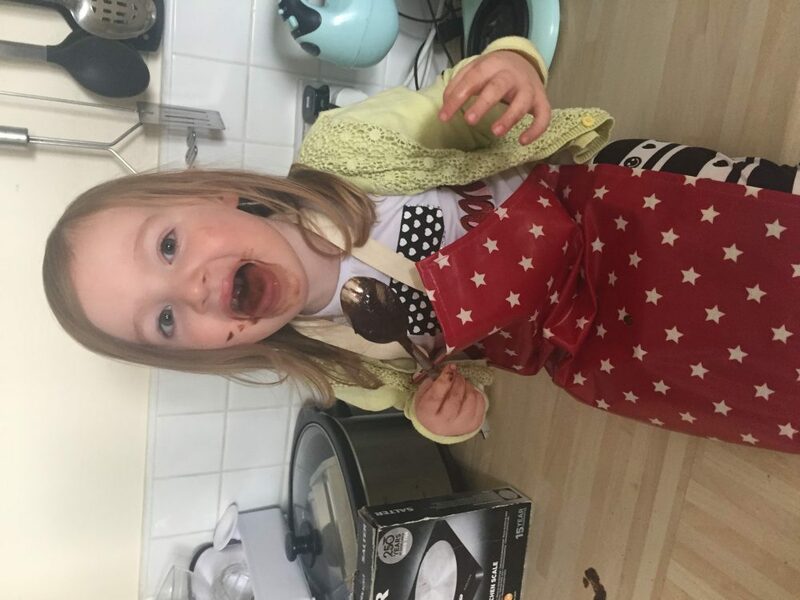 Priced at £12.50 with free delivery, the Messy Apron (aimed at 3-5yr olds) is great value for such a handy, high quality product. I think we could do with a Splashmat next!